Because this is 2018 - an even-numbered year - the Legislature is supposed to eschew complicated legislation in favor of making mid-biennium budget adjustments and addressing any urgent matters arising between the two longer sessions in 2017 and 2019. With 90 independent-minded members — each with his or her own priorities — it's no wonder the Oregon Legislature can sometimes resemble a classroom of unruly children. It's hard for them to stay focused on the most immediate subjects because they are easily distracted by shiny new objects — or more fairly, the latest in policy ideas. But at this point in the 2018 legislative session, it appears congratulations might be in order. The Legislature is wrapping up its business, perhaps even a bit early, and it looks like it has managed to table some unwieldy topics ill-suited for a 35-day session. Because this is 2018 — an even-numbered year — the Legislature is supposed to eschew complicated legislation in favor of making mid-biennium budget adjustments and addressing any urgent matters arising between the two longer sessions in 2017 and 2019. In keeping with that mandate, the majority of lawmakers appear ready to defer action on two big issues that received a lot of attention but are now stalling in the final days of this session: A cap-and-trade plan to put a price on carbon emissions and a proposal to make health care a constitutionally protected right in Oregon. The cap-and-trade legislation should be front and center in the 2019 session, but only after Oregonians are given a chance to understand it better. If the carbon policies are developed with input from all affected parties — including utilities and their customers — then the final plan will have the broad support needed for its long-term success. As for the idea that the right to health care should be referred to voters and enshrined in the Oregon Constitution, the proposal is so riddled with potential unintended consequences that we are unsure if we could ever support it. But it's clearly not appropriate for a short session in which even its most ardent supporters are unable to answer basic questions about the amendment's effect on the state budget. On the flip side, tax issues now in the Legislature do meet the standard for short-session consideration. When the 2017 Legislature adjourned in July, a sweeping federal tax bill was still in the proposal stage. Congress approved the tax changes in December and President Trump signed them into law. Oregon's taxpayers will be affected immediately, as will the state's revenues, so it is appropriate that the Legislature take the matter up now. Legislators are attempting to address three areas where federal tax reforms will affect Oregon. 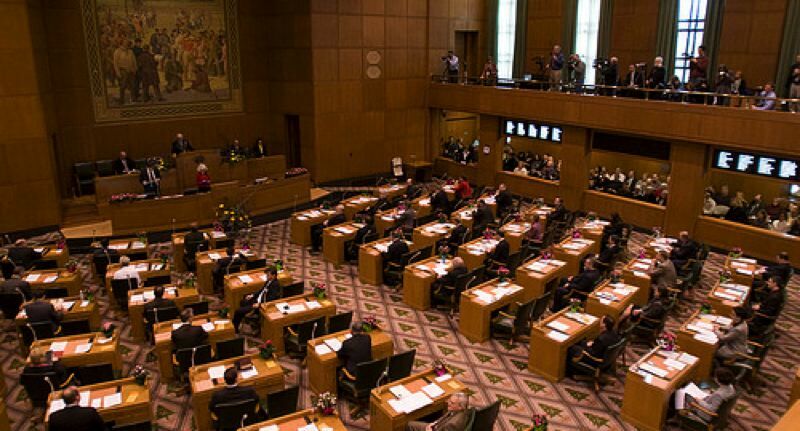 First, and least controversially, lawmakers want to ensure Oregon is able to tax the cash that multinational corporations bring back to the United States as they repatriate money under the new federal code. This is reasonable, as the federal government will get its cut and other states already have that authority or are looking at the possibility. However, two other tax-related proposals are more contentious. One would create a new state tax credit for higher education. This would allow individual taxpayers who are harmed by new limits on federal deductions for state and local taxes to recoup some of that benefit. It's a concept worthy of exploration, but it needs examination beyond what's possible in a short session. Likewise, the federal tax code made extensive changes to business taxes. Sen. Mark Hass, chair of his chamber's Finance and Revenue Committee, rightly wants to reconcile the new federal rules with Oregon's tax code, especially as it relates to pass-through corporations. We believe these changes need further vetting. The tax issues also could be folded into a larger and necessary discussion in 2019, when the Legislature must address the meaty topics of overall tax reform and the unfunded liability for the Public Employees Retirement System. Carbon limits, a right to health care and tax reform are all complex enough to warrant study and discussion before lawmakers come back to Salem in 10 months. But the 2018 Legislature ought to get out of Salem soon, to keep faith with voters who were promised that legislative meetings in even-numbered years would be short and focused. Despite their wandering minds, and the temptation for a Democratic majority to fast track its legislative wish lists, legislators appear ready to stick, loosely, to that promise.